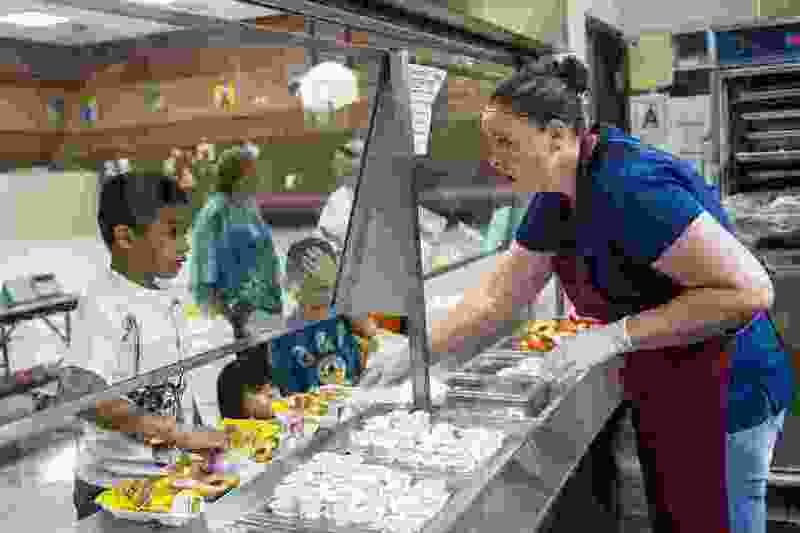 (Chris Detrick | The Salt Lake Tribune) Brenna Thomas serves children lunch at Creek View Elementary in Price Wednesday, August 16, 2017. Behind the Headlines: Tribune government and politics editor Dan Harrie, reporter Bethany Rodgers, and columnist Holly Richardson join KCPW’s Roger McDonough to talk about the week’s top stories, including the vote by a Utah lawmaker against the bill he’s sponsoring to replace Medicaid expansion in Utah. Every Friday at 9 a.m., stream “Behind the Headlines” at kcpw.org, or tune in to KCPW 88.3 FM or Utah Public Radio for the broadcast. Join the live conversation by calling (801) 355-TALK. -> Got a tip? A birthday, wedding or anniversary to announce? Send us a note to cornflakes@sltrib.com.